We believe the church could be the solution to the biggest challenges our city faces. We want to be a voice of hope in our community by engaging with people and groups that are actively working to address some of the needs. What If Everyone is our initiative to inspire people to serve humanity in practical ways. Join us for our citywide Serve Day on Saturday, May 4th as we collect donations, volunteer at area non-profits, and actively show love to our Charlotte community! 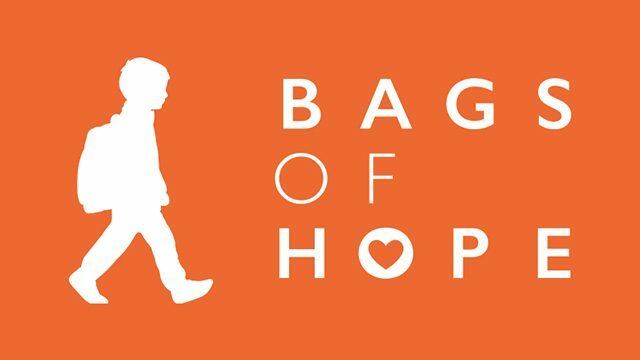 Bags of Hope LKN seeks to bring hope to CMS students by providing weekend food provisions to school children who experience food insecurity. Mosaic is a partner church with BoHLKN, with our focus on serving Winding Springs Elementary School (WSE). In Mecklenburg County, 35% of households with kids face food insecurity. When school is closed many of the students go hungry; a lack of adequate food leads to poor academic performance. We can help change that! Do a food drive at your office, school, etc. Single serve size snacks, crackers, pretzels, bars, etc. Charlotte Family Housing (CFH) is a shelter-to-housing program for families experiencing homelessness. Their mission is to empower families to achieve long-term self-sufficiency through shelter, housing, supportive services and advocacy. We partner with CFH in numerous ways, including WIE serve days. For more opportunities to volunteer at CFH, contact Ashley or CFH. You can partner with us as a local organization, non-profit, church or business. House Upon The Rock Ministries in the Dominican Republic is committed to foster growth of the materially poor, both physically and spiritually, through a medical clinic, construction ministry, school sponsorship programs, and other way of interacting personally with the people of the village where they serve. Mission Trips – We have been sending teams yearly since 2010. We invite you to spend a week sharing your faith, showing love and spreading hope with us in the Dominican Republic. In 2019, we are planning two trips: a student team (ages 14 and up) in August, and medical / construction team in October. Student Sponsorships – The Dominican Republic requires that all children attend school until the eighth grade. Public schools are available; however, the government only provides a building and teacher; they are not required to provide materials or books. There are private schools that provide a higher level of education and more opportunities for continuing on to university. With a degree, a student not only becomes self-supporting, they can also support their parents and help their siblings with their education. A good education is one of the best ways to change the future of an entire family and help them to rise above poverty. There are over 100 students currently being sponsored, and another 100 students that are on the waitlist. Three Kings Day Shoeboxes – Each November, we collect shoeboxes for children in the community for Dia de Reyes (All Kings Day), the day of celebration for Christmas in the Dominican Republic. This is the day when children receive gifts, and celebrate the Three Kings bringing gifts to baby Jesus. If you would like to help us in one or more of our global outreach opportunities, please contact outreach@mosaicchurch.tv.